I’m not a good picnic person. As much as I want to be, I just can’t seem to get the ingredients right. 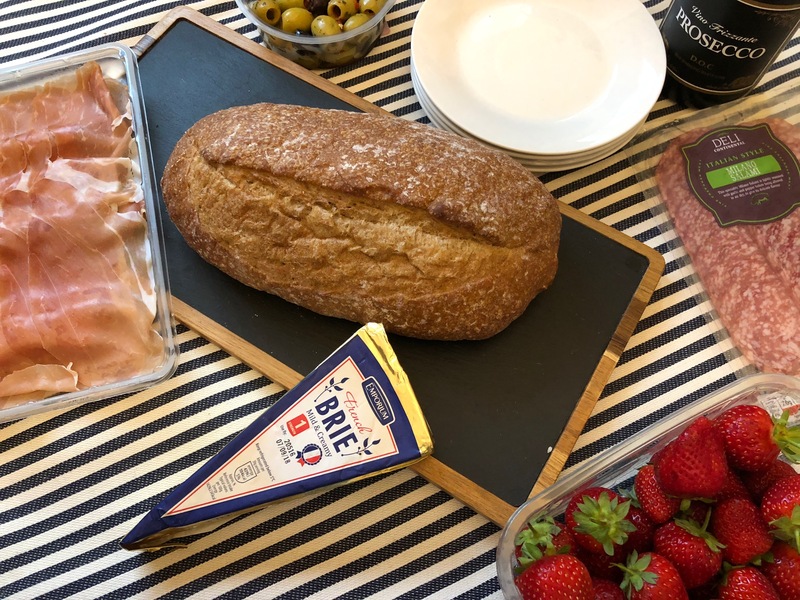 You know, you see people who pack amazing picnics and you think, “god, that looks amazing” while you’re sitting there with boring sandwiches and pork pies. I’ve always wanted to be a picnic person, always. 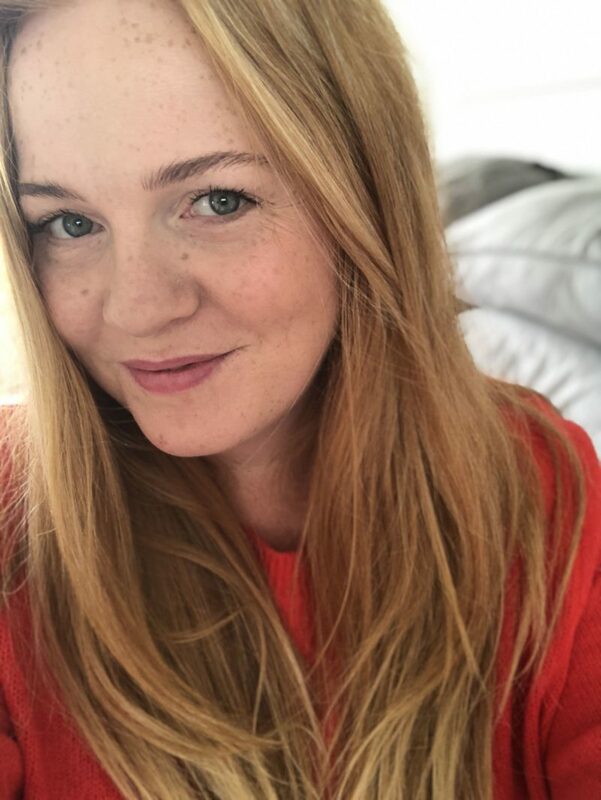 Throw some things together, grab a blanket and spend the afternoon laying under a tree (ginger person here, I don’t do sun) reading a book while the kids play, quietly, in a field. 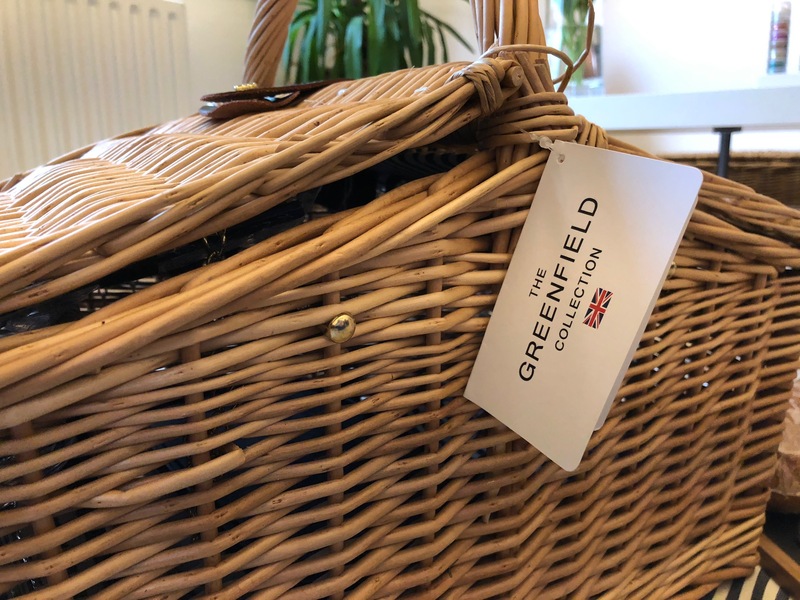 So, when Wayfair sent me the Greenfield Somerley Willow Picnic Basket I was more than ready for the challenge, to finally create a picnic worthy of a Jane Austen book. 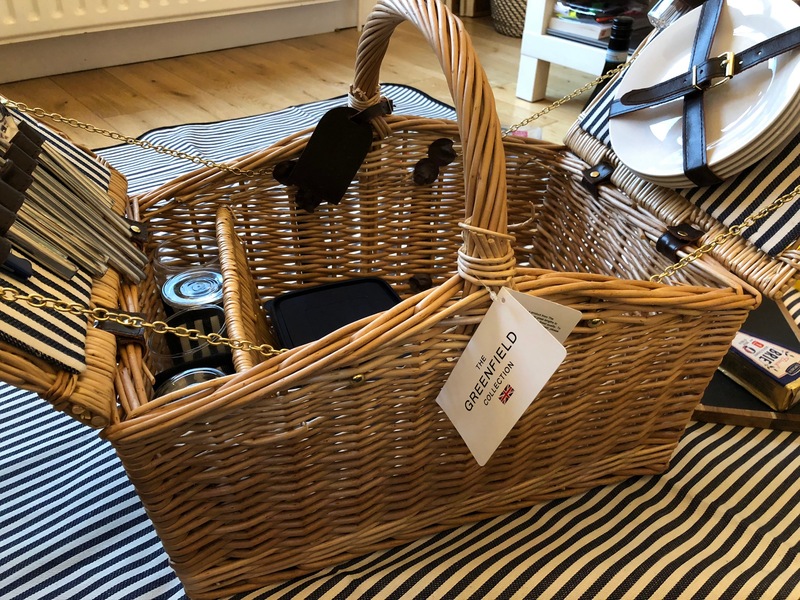 The picnic basket is made from buff willow, which means it’s tough but not too heavy, which is a bonus because, once it full of goodies, it’s going to weigh more! It has brown leather accents and polished gold hardware, and it has two hinged lids, you know, like the proper old school picnic hampers! The interior is blue and white stripes, think traditional French ticking, can you see why I love it so much yet? 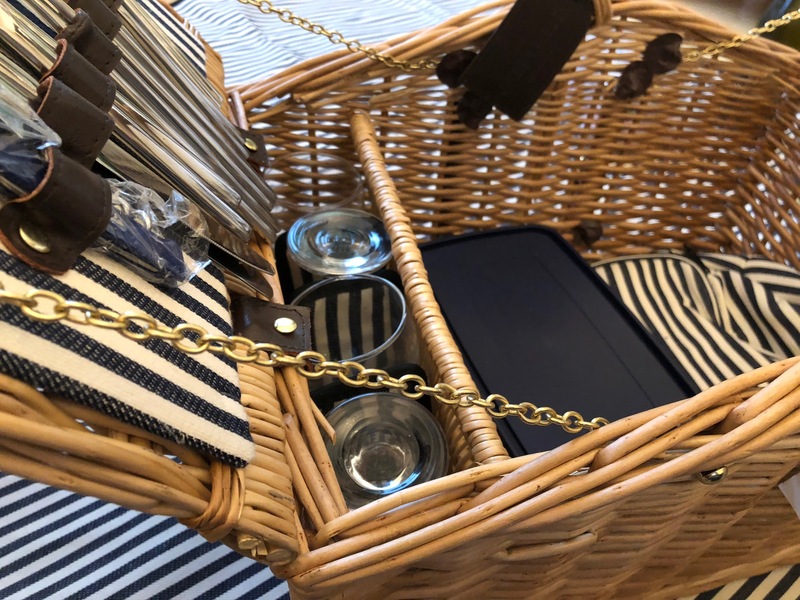 There are 4 wine glasses, safely tucked away in padded compartments, a large plastic tupperware, an insulated cool bag (in the same striped pattern) which would be ideal for cans of drinks, salad stuff or something else extra fancy for you picnic experts. I don’t know, smoked salmon or something!? 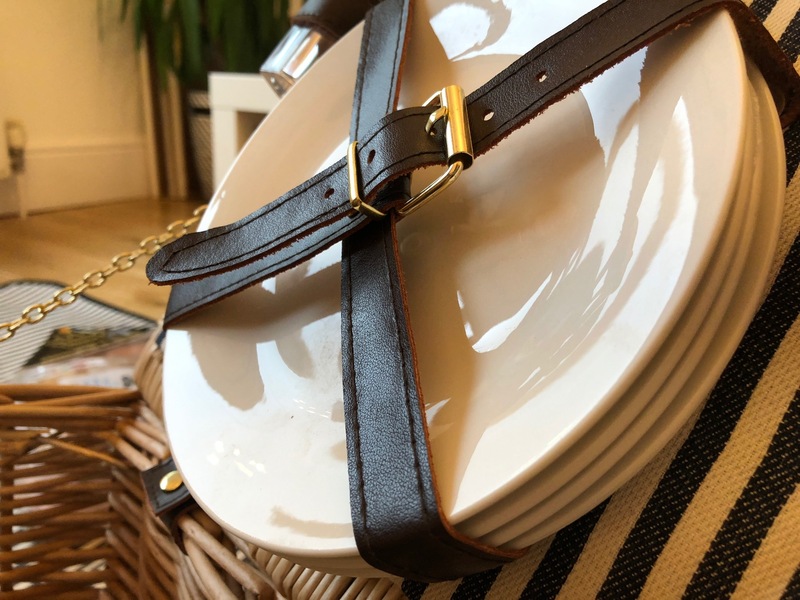 There are four china plates contained in a leather strap (no plastic here thank you very much), four full cutlery sets, salt and pepper shakers a bottle opener and a matching blanket which can be attached to the exterior of the basket with leather straps and buckles and can be used as a tablecloth if you’re not a floor person. It is the picnic basket of dreams. Of course, being me, the basket arrived just as we were packing to move, so the gorgeous weather that was created precisely for picnics was wasted! 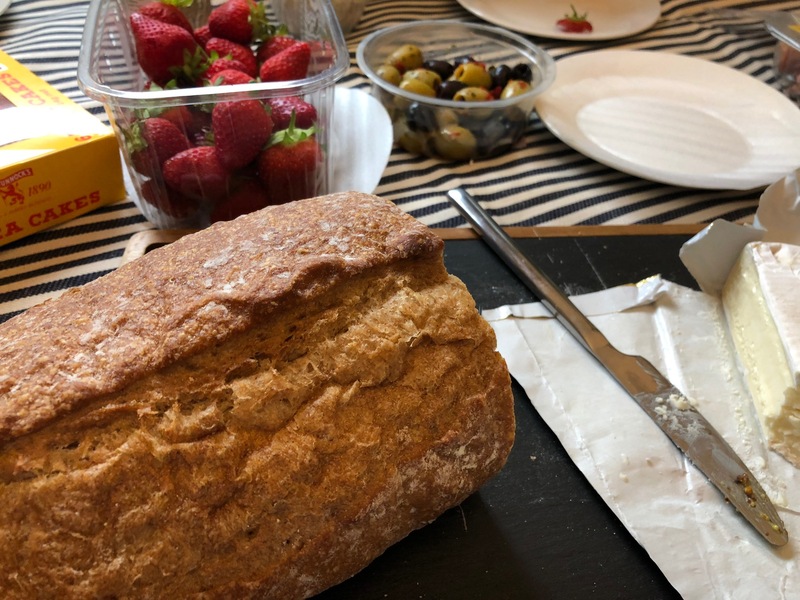 Instead, we decided to hold a ‘new home picnic’ during the first few days, when we didn’t know where our actual cutlery was, and nobody had the energy to cook. If you ask me, picnics are the way forward when moving house! 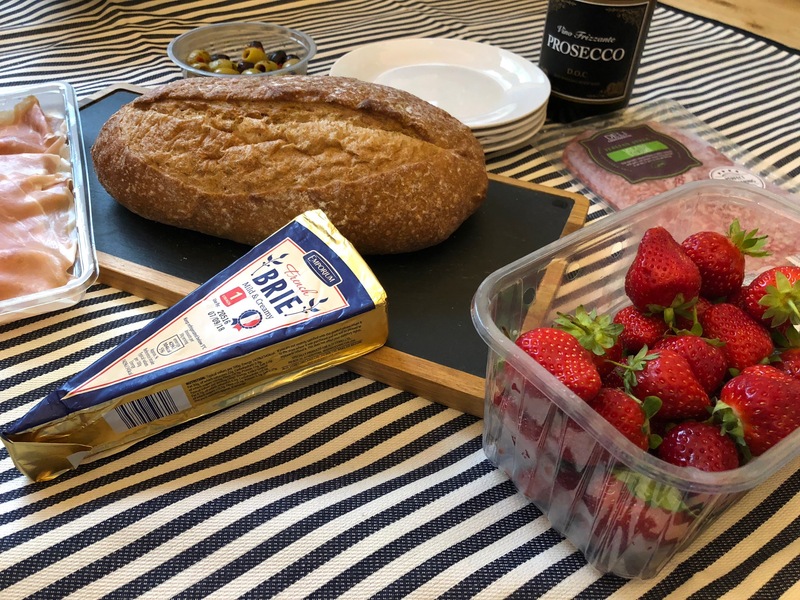 There, were, of course, pork pies involved, but I did also manage to include a bottle of prosecco, some strawberries, olives and fancy ham. Which, I feel is a step in the right direction at least! Who knows, next time maybe we’ll manage a fancier feast *and* it will be outside. Possibly not in a field, but outside would be a start! This post was written in collaboration with Wayfair. All views are my own. Previous Post LD Health // Are You Beach Ready? Who Gives A……!